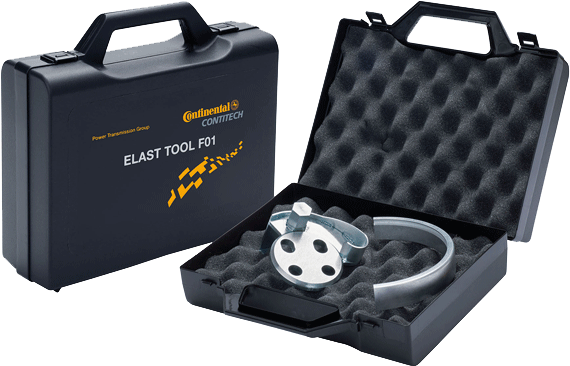 ContiTech has unveiled a new tool for installing elastic V-ribbed belts for Ford and Volvo engines – the ELAST TOOL F01. 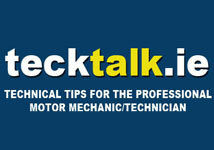 Installing elastic V-ribbed belts can occasionally be a bit of a chore on certain Ford and Volvo engines. The ContiTech ELAST TOOL F01 now gives repair shops a specialist tool that makes changing alternator belts easy – on Ford Focus, C-Max and Mondeo 1.4/1.6 l petrol models as well as on Volvo S40, C30 and V50 1.6 l petrol models. Universal tools do not work on these engines because they would have the belt slipping off the water pump’s collarless disk. The second, shorter belt on the belt drive – for the air conditioning compressor or power steering pump, depending on the vehicle – can be changed using the installation device in the relevant complete package, or with the universal UNI TOOL ELAST from ContiTech.